The album was released on 15th September, so I’m a bit late with my review, but better late that never, eh? 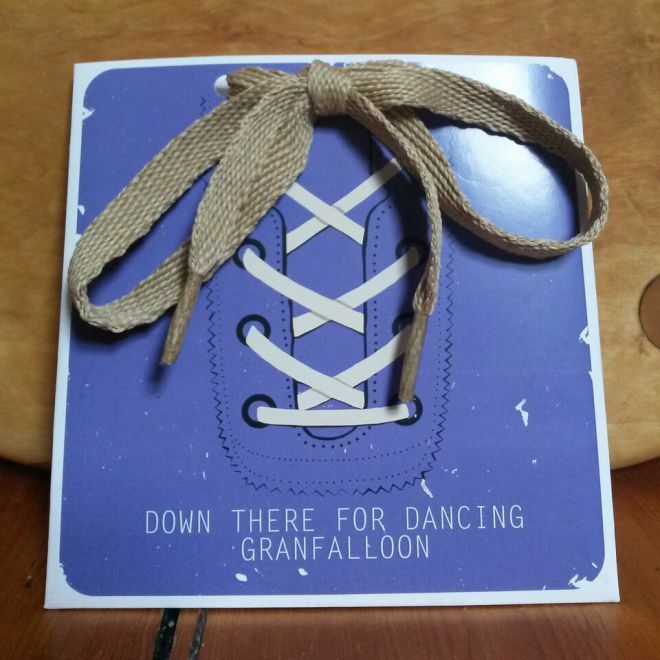 There is a website, here, and Granfalloon are also on the usual outlets, Bandcamp, Facebook and Twitter. Richard describes his music as being lo-fi, alt-folk, psych electronica, which I suppose covers plenty of bases, and he mentions the likes of Jane Weaver, Sufjan Stevens, Serge Gainsbourg, Mercurv Rev, Love and Scott Walker among his influences. What I hear is an interesting, heartfelt, delicate and intricate set of songs. The instrumentation is key here in creating a soundscape of chiming guitars and keyboards that serves as a backdrop for some lovely songs, mainly around relationships, judging by the lyrics, but also, I think, around the subject of mind-expanding experiences. It took me a couple of listens before I really started to get into this album, which I reckon is probably a good thing. Oddly enough, the first point of reference I made was with The Durutti Column, another Manchester act, but not in any deep and meaningful way. It was rather the intricacy of the occasionally minimal music, and I mean minimal in a good way here. This is a low-key, intimate listening experience, you might want to call it chamber folk, if labels are your thing, the dynamics of the songs are understated, at first hearing, there isn’t that much happening, but gradually the music unfolds to reveal its charms. Is it psychedelic? Well, dunno really, but perhaps it is if you think of Syd Barrett’s solo albums as being psychedelic. The first time around, I thought the music a bit one-paced, but the second and third times made me think again. The music is of a gentle, pastoral even pace, with shifting, delicate layers of sound, but, as I said, the understated dynamics come through. I think that at the moment my favourite track is “Bleary“, but every time I listen again, other tracks gently tug on my sleeve for attention. Today, as I am writing this, outside it is a grey, soft-focus, drizzly Autumn day, and the music fits perfectly. The most upbeat track on the album is “Hotel X“, which was the track that first opened the door for me. The chiming guitar and rippling keyboards work to excellent effect here, with , I think, sparse electronic percussion driving the song along and there is even a bit of a guitar solo here. So, what is my verdict? Well, I like this album. It has charm, charm that takes its time to register, but that is a good thing. Listening is a bit of a voyage of discovery, and like all voyages, when you get where you are going you find that you are in a good place. I really like the intimate nature of the listening experience here. This isn’t music that’ll blow your socks off or make you get up and dance, but it is thoughtful, atmospheric and intriguing music. Incidentally, Kurt Vonnegut coined the word Granfalloon in the novel Cat’s Cradle, describing it as being something like a group of people who claim a shared identity, but whose claimed affinity and connection is actually meaningless. As Kurt might have had one of his characters say, “So it goes”. While you are pondering the universe of Kurt Vonnegut, give this album a listen. It will be time well-spent and you never know, you might even want to buy it, because it is an album that grows over repeated hearings.